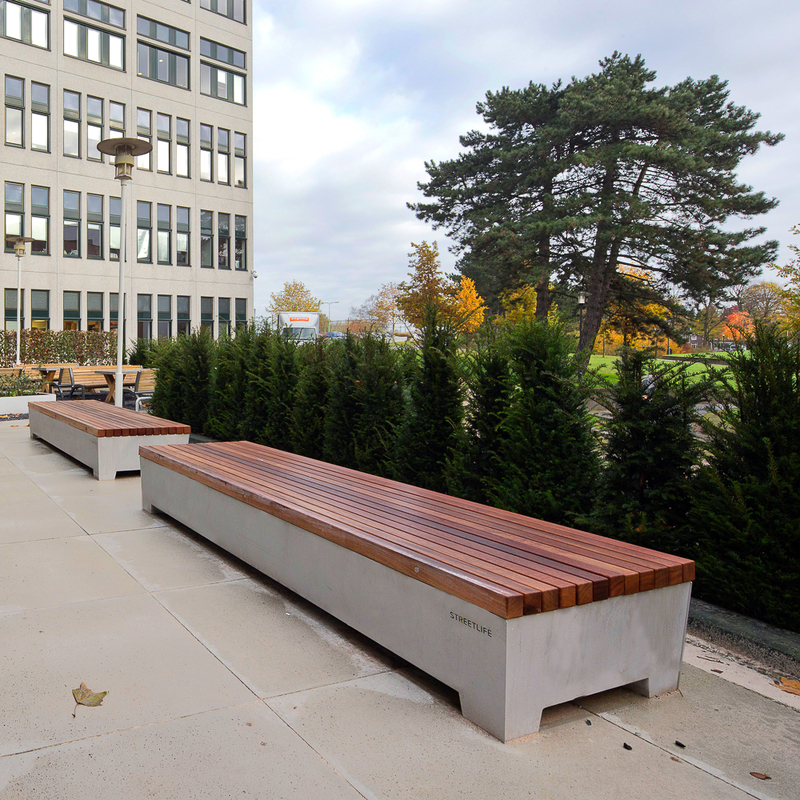 The Solid Love Benches are simple, low benches, with a noble appearance. Particularly attractive for rooftops and private residential areas due to their lightness in weight and aesthetic. 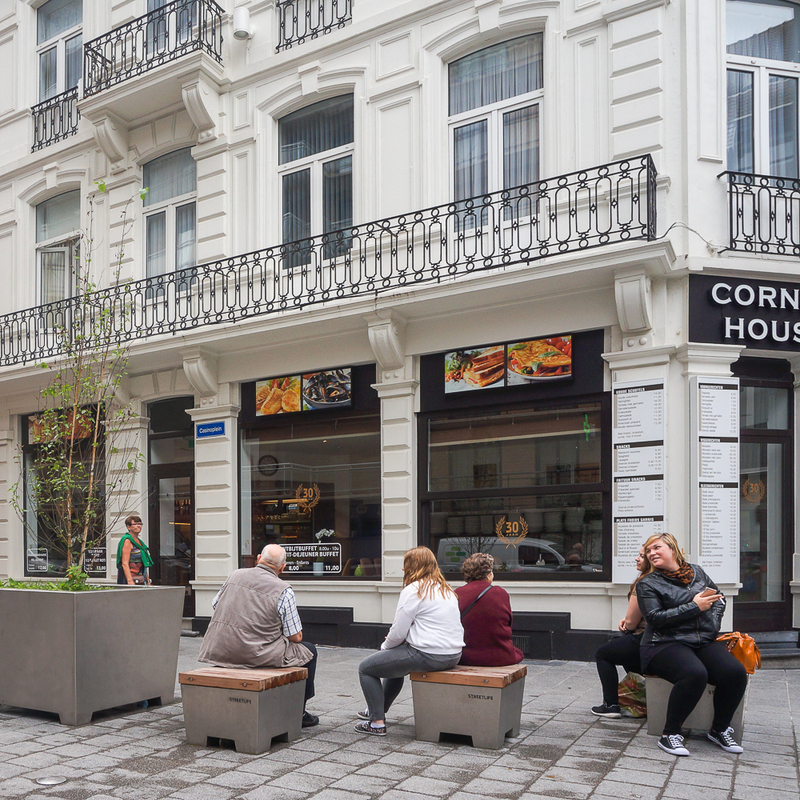 The FSC® hardwood slats (7x7 cm - 2.8”x2.8”) are mounted in our Streetlock® comb system, leaving a space between the slats of only 8 mm - 0.3”. 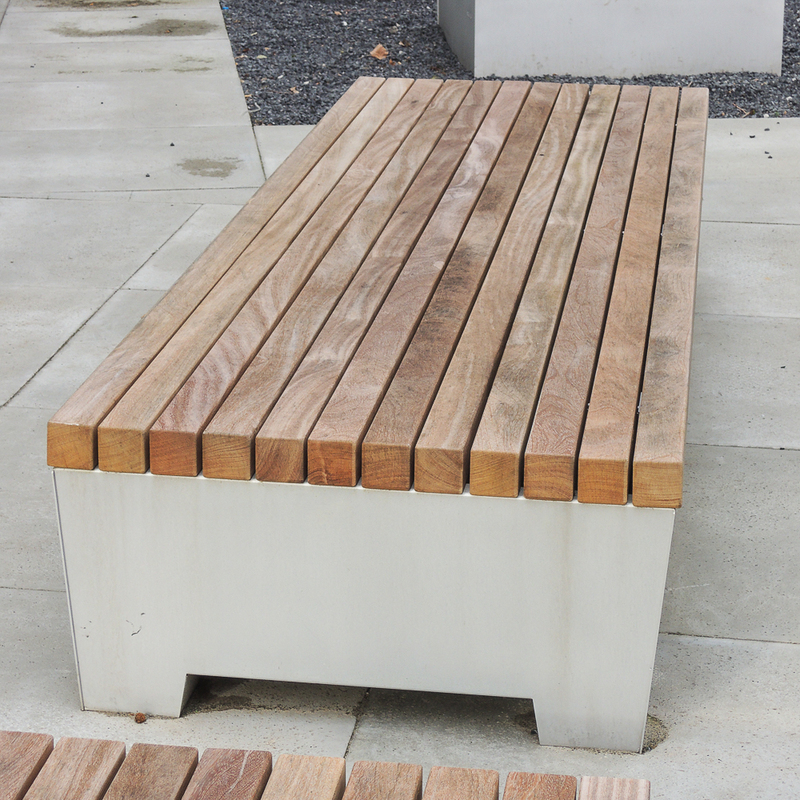 These Solid Love Benches can be perfectly combined with our Solid Green Love Benches and the stainless steel Love Tubs. 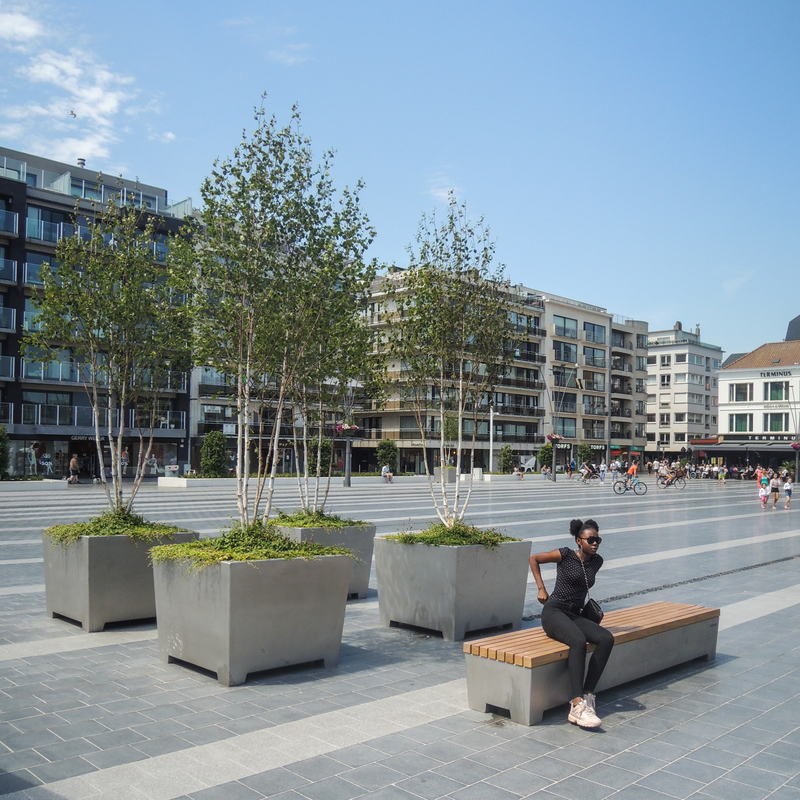 Standard seating depths are ca.62 (8 slats) or 93 cm (11 slats) | 25" or 37"